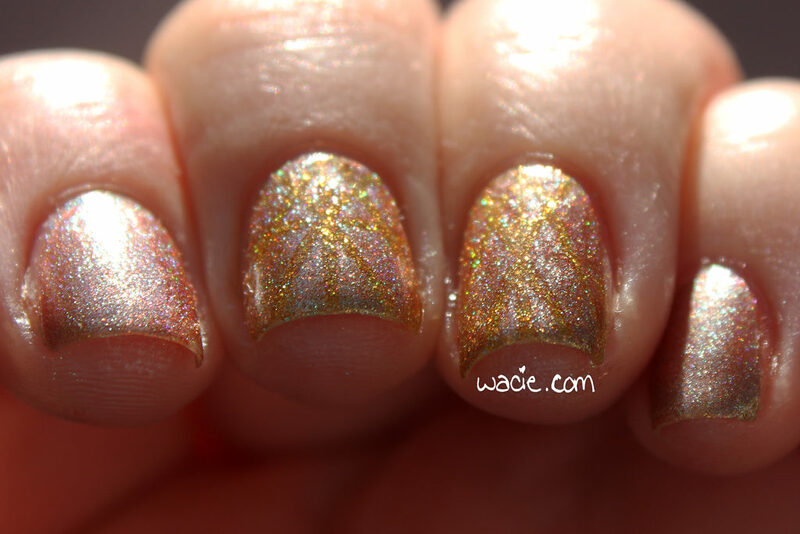 This entry was posted in Manicure Monday and tagged Enchanted Polish, glitter, gold, holo, indie, Literary Lacquers, nail art, taping. Ooh I see it though! I’ve been really wanting to pull out some striping tape lately – you pulled some really clean lines! I just love I Heard the Bells! It’s such a great golden polish! I love the sunburst that you did! very creative. Gold and holo is one of my favorite combinations! You did well! I can clearly see the difference. This is really pretty. I need to get over my fear of the stripping tape. Very pretty! Ooo! Gold and holo. That is pretty much perfect. I think the subtle design makes this so unique. Woah! This color is stunning! Lovely subtle nail art! I like the glitter! It’s nice that you added that it’s pretty easy to take off, because I’ve always had trouble taking off glitter. Thanks for sharing!! 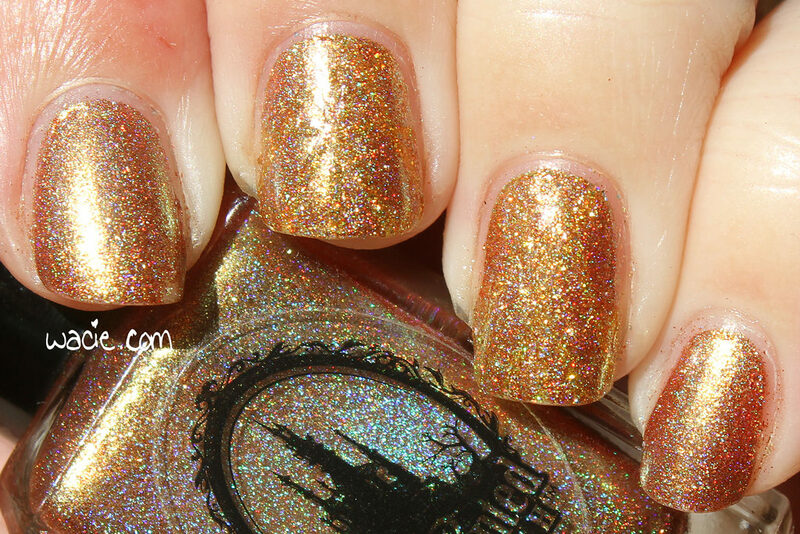 What a gorgeous gold polish! Loving the glitter!!! While the subtle two tone doesn’t stand out much, I think it adds a fun element. I’m loving the base and the subtle design! 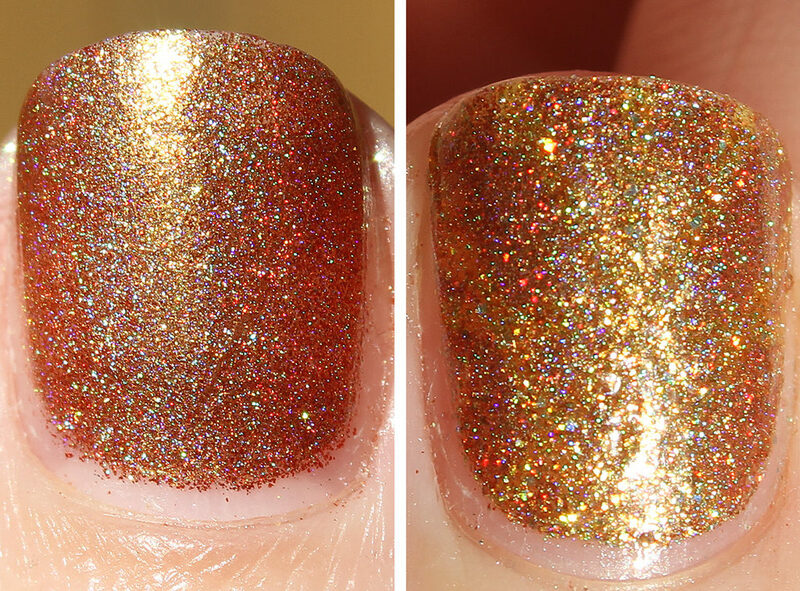 Gold and glitters.. Just exactly what I want on my nails right now..